Transfer Settlements - Sentinel Not needed. Not much to say. It's a fairly known problem. This mod solves it! 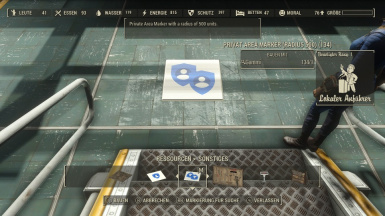 Place the Private Area Markers in your house and your settlers will stay away. 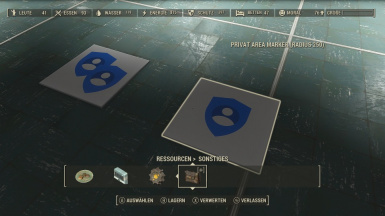 The markers are craftable in workshop mode (listed under resources). Crafting requires rubber and local leader perk. The mod does not allow you to place markers close to a settlement's spawn point marker. If you get an error message that a marker cannot identify a settlement's location, place one marker closer to the workbench or the center of the settlement to register the location for all following markers (you can scrap this marker later). Once done you can place markers allover the buildable area of a settlement. The markers will update the population when the settlement is loaded and/or when you enter workshop mode. Version 1.1: craft private area keys at the chemical station (listed under utility). Guess what happens if a settler has the key to your private place. After giving a key to a settler (or taking away) let the markers update. General rule: always use the markers on that floor level you want to make private (and not on the roof of that floor). Use 1 small marker per standard floor piece (rule of thumb). If you place the maker in the middle that floor piece is save. Exception: If you don't have to care about the floors above or below your floor level (either because there are no floors above and below or you want to make those floors private as well) you can use the big markers. Use 1 big marker in the middle of a 4 (2 x 2) standard floor piece field (instead of 4 small markers). Example (see my video): That suite is on floor 3 and 4. On floor 2 is a public room, no 5th floor. To make the area private I covered the 3rd floor using only the small markers (the big markers would reach into the 2nd floor, so I cannot use them). At the stairway between floor 3 and 4 I could use a big marker. And also on the 4th floor I can use the big markers, because the 3rd floor is also marked private and there is no floor above.